These days, a new original form of farming is getting more and more attention: the use of drones to improve productivity. The machines can indeed provide a top-down imagery that can then be used by the farmers to spot weeds and their spreading early in the season and thus address the issue better and earlier, or to check if plants receive enough water and nutrients thanks to infra-red shots. They could also be used to locate the areas with the most input is needed for a given year, which would inevitably lead to healthier crops and a better yield for the farmer. The patterns seen from the sky can help detect problems in the irrigation system, soil variations and pest and fungal infestations in the crop. The collection of imagery will eventually lead to better crop management, thus increasing productivity and revenues for the farmer. Big corporations such as McCain are already using the technology and firmly believe in its potential. It is, among other things, used to reduce sprayings on the potato crops and increase yield. 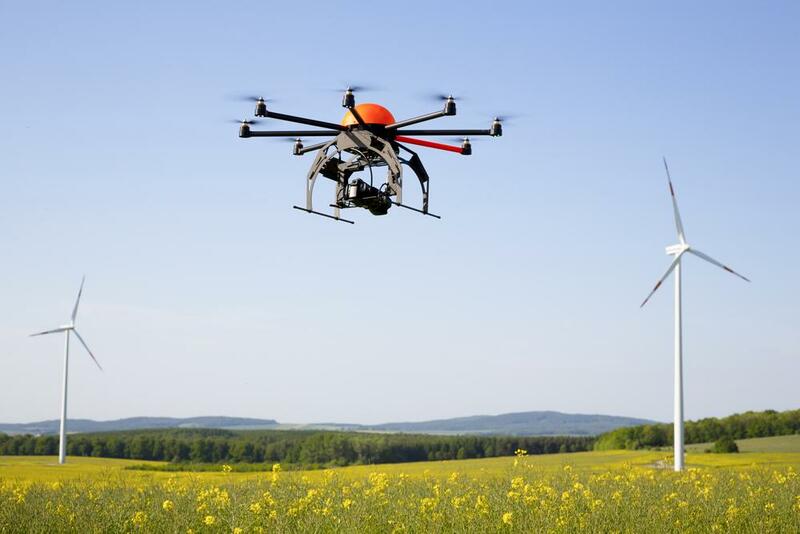 According to Dave Rogers, director of Global Process at McCain Foods, the use of drones in farming can even be considered as a revolution: “If you look at it, back in the early thirties I believe it was the three-point hitch that helped to revolutionize farming. What we’re doing here today probably has a similar impact because we’re looking to work smarter and not harder at farming”. The drones, which vary from fixed-wings airplanes to small helicopters, have the undeniable advantage of providing a very affordable camera platform offering a higher resolution than satellite views; today, most of these objects are sold for less than $1,000. Some of them can even fly on autopilot from takeoff to landing, leaving the farmer free of all radio control from the ground.